Self-presentation and self-documentation are always key to unraveling psychological knots of oppression. The covers of books, calendars, and record albums, and their accompanying publicity photographs, offer a way to influence thousands of viewers, many more than would see the same image in a gallery setting. They also offer an economical way to reach audiences with other than mainstream interests. Betty Fairbank (b. 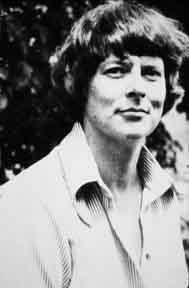 1923) produced photographs of Jane Rule for the covers of Theme for Diverse Instruments (1975, stories about lesbians) and Lesbian Images (1975). The significance of these publicity shots may be hard to imagine in the more open atmosphere of today. The images were taken out-of-doors, emphathizing the naturalness of lesbianism. In them, Rule appears relaxed, her attractive face open to the world. Fairbank's subtle landscape photographs circulated as original notecards in the Pacific Northwest. However, it was her purple starfish image, implying a color-coded sensuality and sexuality which was emblematic of the times. Over a decade later a hand colored photograph by Hulleah Tsinhnahjinnie (b. 1954) which was used as the cover for Living the Spirit: A Gay American Indian Anthology had the same kind of power and impact. In it, a woman in fringed clothing and traditionally bound hair stands beside a motorcycle but looks off into the distance. A nighttime city scene, the blurred lines of headlights separate the woman from a row of Victorian apartment buildings. A glow surrounds the woman's head. Tsinhnahjinnie - Navajo, Creek, and Seminole - says she does not relate to the word lesbian, preferring the Native-originated and culturally supportive phrase "two-spirited people." Approaching the millennium, a calender for 1998 and 1999 by ALBA, the Seattle-based Asian Lesbian and Bisexual Alliance, with photographs by Zone Montoya (b. 1966), features a mixed group of young, hip, bright faced women out in the open and openly out. As befits the Northwest locale in which the images were made, the group photo of women from the sponsoring organization shows them with umbrellas raised. The early 1970s saw a rejection of mainstream values around education and upward mobility. 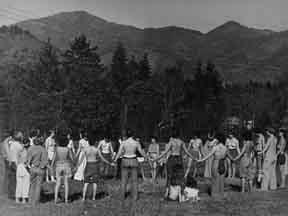 The back-to-the-land movement was one result, with large numbers of people all over the country moving to rural areas and exploring various forms of communal living. Country Woman magazine - founded in 1972 in northern California - was a publishing venue which united many West Coast women: heterosexual, lesbian, and those who saw themselves as in transition. 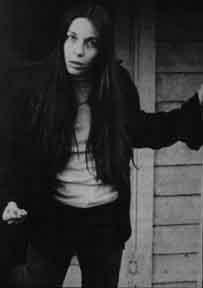 Lynda Koolish (b.1946), who has since completed a Ph.D. in literature, published photos in most of the first thirty-five issues of Country Women. Over the past three decades she has produced portraits of women writers in the forefront of lesbian, feminist, and mainstream publishing. Oregon, because land was very cheap and housing codes were generally lax, was another center of the back-to-the-land movement. The WomanShare Collective - three women who had traveled across North America looking for land on which to live communally - bought land in southern Oregon in 1974. One of their projects was Country Lesbians: The Story of the WomanShare Collective, published in English in 1976 and in German a few years later. 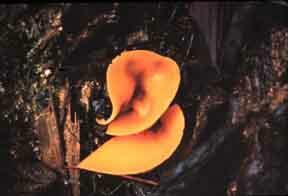 Several collective members had been involved in the arts before moving to Oregon, but Carol Newhouse (b. 1943) was the primary photographer in the group. A startling series of images was produced when Carol and her lover, Billie Miracle, as a route to better understanding, agreed to take photographs of each other when they were fighting. Communication and spirituality are always foregrounded in Newhouse's work. 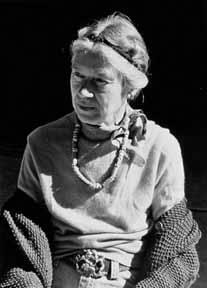 Ruth Mountaingrove (b. 1923) and Jean Mountaingrove - divorcees with grown and almost grown children - chose a joint surname shortly before they began to publish and edit WomanSpirit magazine. 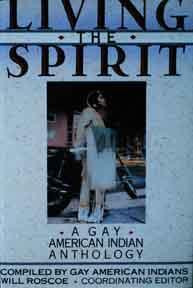 WomanSpirit was the influential quarterly which focused on a personally experienced, nature-based spirituality. Ruth Mountaingrove had learned photography as a teenager and practiced what she called "domestic portraiture" as a young mother. She began documenting country lesbian activities in Oregon and northern California in 1972. Many of her images were published in WomanSpirit, Woman Press, and Country Lesbians, but she also contributed the sensual cover image for poet Elsa Gidlow's book, Ask No Man's Pardon: The Philosophical Significance of Being Lesbian. Hawk Madrone (b.1939), another early member of the Oregon back-to-the-land lesbian community, has focused on flowers and other natural forms. Her color photographs of sensuous shapes circulate primarily as note cards and small prints available at women's gatherings. Although they can be discussed as flowers-as-vulval-forms and often exhibit the central-core imagery championed by some early feminist art theorists, Madrone refers to them as sensual icons.